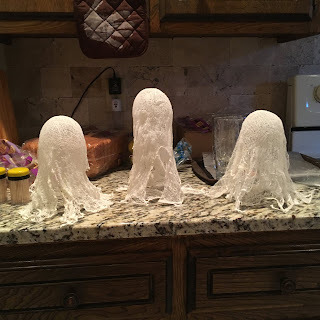 I love the cute cheesecloth ghosts that everyone makes, but most of the tutorials I read required using starch to give the ghosts their shape. I didn't have starch on hand, so I was thrilled when I found a different technique that uses corn starch (which is still probably technically starch, but not the stinky spray kind)! I found the idea at Love and Laundry...and I'm so glad I did. My kids had a blast making these ghosts. 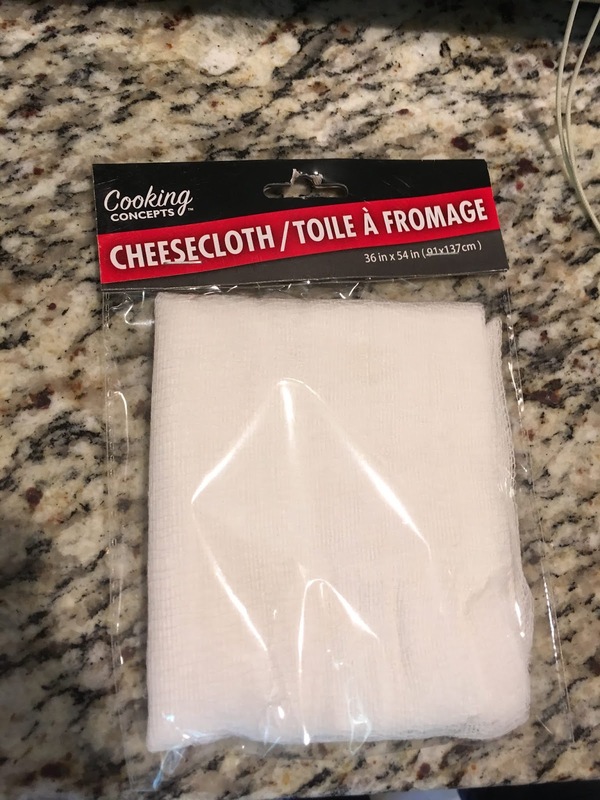 Cheesecloth - I found mine at Dollar Tree! We made 3 ghosts with one package. 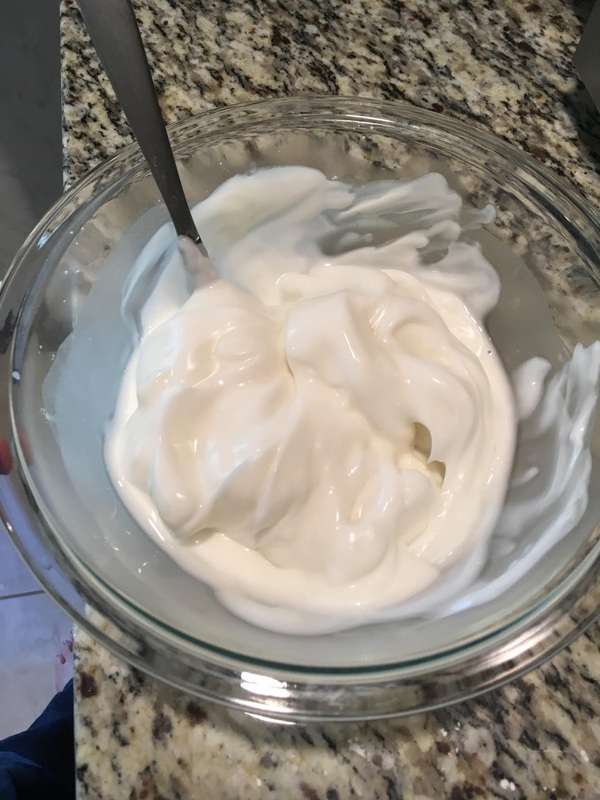 First, pour 2 cups of water into a microwave-safe bowl. 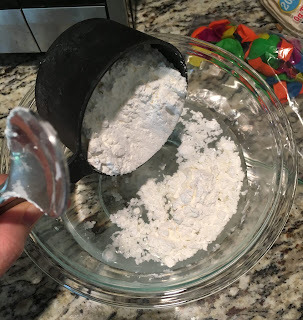 Add 1 cup of corn starch and mix thoroughly. Microwave for 30 seconds. Stir. Microwave for 30 more seconds...and on and on until it gets thick. Let that cool for a few minutes. Create a stand for your ghost by blowing up a balloon and putting it on a tall glass cup. Put a cookie sheet covered with wax paper under it to make it easier to move. I cut each piece of cheesecloth in half so we could make more ghosts. 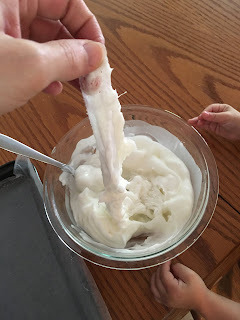 Now for the messy part...smoosh the cheesecloth into your corn starch paste. 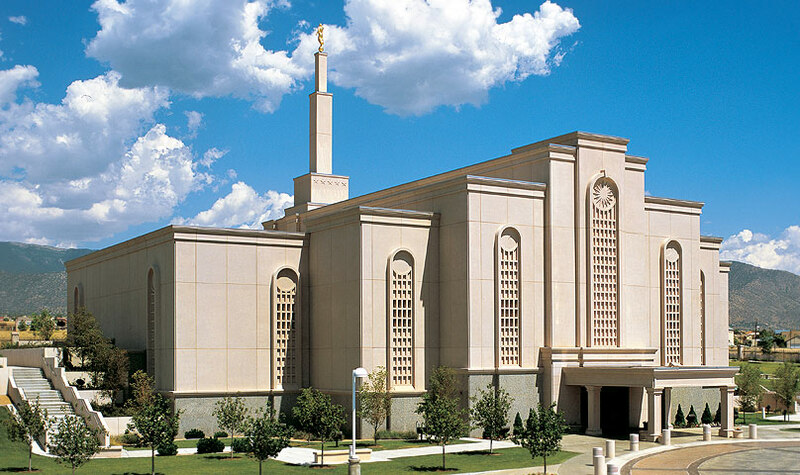 Get it completely covered! Then squeeze out all the extra paste. 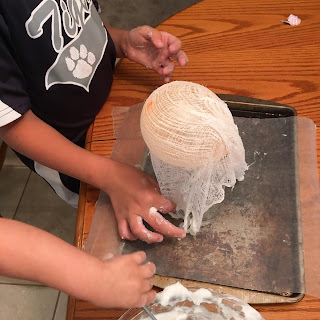 Spread the cheesecloth back out and drape it over your balloon stand. Move it around and play with it until it sits the way you want your ghost to look. Find a safe place for your ghost to dry. Once your ghost is dry, carefully pop the balloon and peel the ghost off the cup...carefully! Cut out some black felt circles or other shapes for the ghost's eyes and mouth. Hot glue those on and you're done! To store your ghosts for next year, gently stuff some fabric inside and make sure not to squish them in the Halloween bin. Check out some of my other fun Ghost Posts! I'll be linking up to Tip Me Tuesday at Tip Junkie.